If you would like to buy a home, but are worried about your credit, you are not alone. Many of the millions of people who lost their homes during the financial crisis are considering home ownership again. Others who have struggled financially in the past are considering buying their first home. Still others dream of buying a home, but do not have sufficient credit history. In fact, more than 45 million American adults have no credit score because they have limited or no credit history. If you haven’t checked your credit recently, now is the time to do so. You’ll have concrete information to help you make the best decisions about what to do next. And, you’ll find out if there are any errors on your credit report that may be lowering your credit scores. You’ll also see which areas you may be able to improve. Checking your own credit won’t hurt your credit scores. 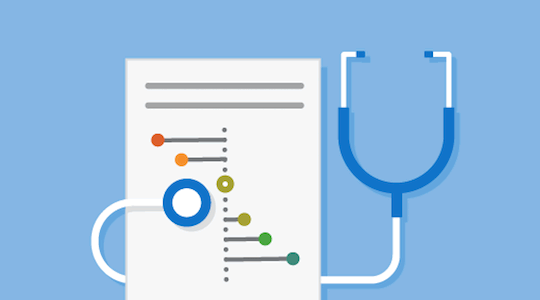 Use our checklist to help you review your report and check for errors. Your credit scores are only one factor in a mortgage lender’s decision, but they’re an important one. Credit scores generally range from 300 to 850 points. Higher scores represent a better credit history and make you eligible for lower interest rates. The best rates go to borrowers with credit scores in the mid-700s or above. If your credit scores are in the mid-600s or below, you may have trouble qualifying for a loan. In 2013, only four percent of homebuyers taking out a mortgage had scores less than 620. The loans available to borrowers with credit scores less than 620 have the highest rates and are more likely to have risky features. 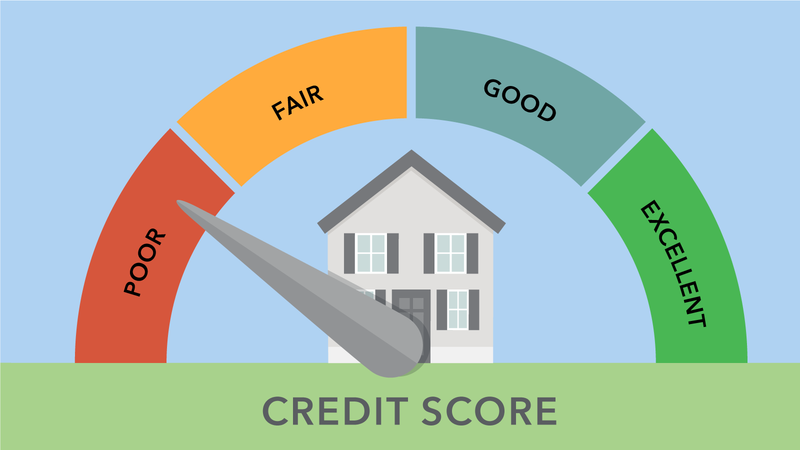 If your scores are in this range, consider working to improve your credit before applying for a mortgage. A housing counselor can often be helpful at this stage. They can help you understand what loan options might be available to you now, compared to the loan options you could qualify for if you work to improve your credit first. They can also help you understand what changes you will need to make to improve your credit, and make a plan. Rebuilding your credit (or building it for the first time) won’t happen overnight. Beware of anyone who claims that they can “fix” your credit quickly for a fee. It could be a credit repair scam. There are no shortcuts to building a good credit history; it takes time and making regular payments to your accounts. Bankruptcy, foreclosures, and defaults (failing to fully pay back a loan) can lower your credit score by up to a few hundred points. Late and missed payments also lower your score. Negative items can generally remain on your credit report for seven years, though their effect on your credit score decreases with time. Your credit scores are based on the information in your credit report. Your credit report is based on information reported by lenders and others about your credit behavior and payment history. When you make positive changes to the way you handle credit—such as paying down balances and consistently paying bills on time—these changes will be reflected in your credit report. As the most recent, more positive information begins to replace older, more negative information, your credit scores will improve. If your credit report contains errors, those errors could be hurting your score. Getting errors corrected is an easy way to improve your score. We show you how to review your report and dispute any errors, step by step. It may take six months to a year, or more, of making consistent, on-time payments to raise your credit scores significantly. When you’re rebuilding your credit, the best thing you can do is pay your bills on time, every time. Setting up automatic payments or electronic reminders can ensure you make your payments on time. 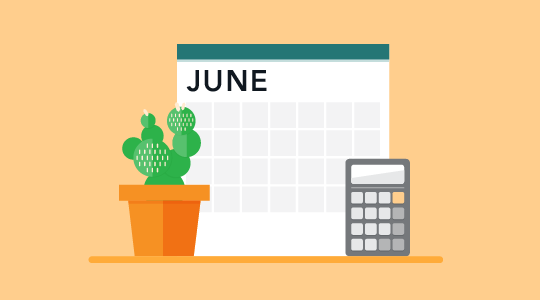 This bill tracker can help you stay on top of your monthly bills. If you’ve missed payments, get current and stay current. For credit cards, it’s best if you can pay the full amount, but if you can’t, at least make the minimum payment on time. Check out our guide to building your credit history when you have none. Some companies offer “secured” credit cards designed to help you build your credit history, either for the first time or after financial trouble. A secured card is a type of credit card that requires you to make a deposit upfront in exchange for a small line of credit. The deposit acts as security for the lender in case you don’t make the payments. However, that doesn’t mean that the payments are optional! When you make the payments on time, your lender will report your payments as positive information to the credit reporting companies. Most companies that offer secured accounts will gradually increase your credit limit and eventually refund your deposit if you pay your monthly bill on time. Some credit unions also offer credit-builder loans where you borrow a small amount of money that is put into a locked savings account. Once you pay the loan back, you get access to the money. As you rebuild your credit, don’t get close to your credit limit (the maximum amount you can borrow on a credit card). 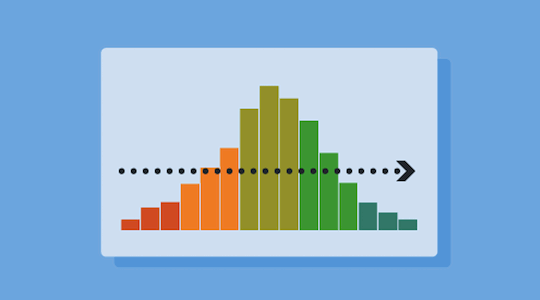 Credit scoring models look at how close you are to being “maxed out,” so try to keep your balances low in proportion to your overall credit limit. Experts advise keeping your use of credit at no more than 30 percent of your total credit limit. For example, if your credit limit is $1,000, you’d want to limit your use to $300 or less at any time (since $300 is 30 percent of $1,000). If you have had a credit card for a while and have demonstrated consistent, on-time payments without getting too close to your credit limit, you can ask the credit card company to raise the limit. Check out our guide to rebuilding your credit history after financial trouble. You might think that a good way to improve your credit history is to cut up your credit cards and throw them away. If you are tempted to overspend, cutting up your cards (or storing them in a safe, inaccessible place) for a while might well be a good idea. But that doesn’t necessarily mean you want to actually cancel the account. Pay down your balance each month, and when it gets to zero, you can decide whether to leave the account open or close it. If you leave the account open, the extra available credit may help to improve your credit score. However, it’s important to check the statements every month to make sure there aren’t any charges you don’t recognize. Identity thieves sometimes target unused accounts. If the card has an annual fee, the best choice is usually to close the account once you’ve paid off the balance. Don’t pay to keep open a card that you’re not using. You need to use credit—borrowing and repaying money using credit cards or other loans—in order to build your credit history. However, applying for several new credit cards or loans in a short period of time can hurt your credit scores. Taking on too much new debt at the same time is risky for you and for lenders. Take things one step at a time. When you apply for a new loan or credit card, demonstrate at least six months of on-time payments for that account before you apply for another account. Never apply for more accounts than you can reasonably manage—it’s more important to manage the credit you already have responsibly than it is to apply for new credit. If you will be tempted to overspend, or if it will be too hard to remember which payments are due when, don’t apply for new credit. A non-profit credit counselor or a HUD-approved housing counselor can help you make a plan to improve your credit. Credit counselors can help you with improving your credit, money and debt management, budgeting, and other general money issues. Counselors discuss your entire financial situation with you, and help you develop a personalized plan to solve your money problems. Learn more about how and where to find the best credit counselor for you. Housing counselors have training specific to buying a home and getting a mortgage. A housing counselor looks at your credit, income, and other financial information to help you understand how a mortgage lender will judge your application. A housing counselor can help you decide whether now is the right time to pursue buying a home, or whether you are better off waiting until you have improved your credit. If you have decided that you want to pursue buying a home now, it’s wise to learn about your mortgage options and shop around for the best rate. If your credit score is not strong, one option you may want to consider is a Federal Housing Administration (FHA) mortgage. FHA loans have more flexible standards than conventional loans. Most lenders offer FHA loans to borrowers with lower credit scores than are required for conventional loans. It may also be easier to get an FHA loan after a negative events. For example, FHA program guidelines allow lenders to consider borrowers two years after a Chapter 7 bankruptcy and three years after a foreclosure. If there were extenuating circumstances beyond your control (e.g., the serious illness or death of a wage earner ), you can request special consideration even sooner. You usually have to wait seven years to get a conventional mortgage after going through a foreclosure. FHA loans are made by private lenders but insured by the FHA. FHA insurance is a type of mortgage insurance, which protects the lender if you do not pay back the loan. FHA insurance does not protect you—if you do not make your payments on time, your credit will suffer and you may face foreclosure. You pay for FHA insurance for your lender in two parts—an upfront payment at closing, and a monthly premium that is added to your mortgage payment. Some lenders may offer “subprime” mortgages to prospective borrowers with lower credit scores. A subprime mortgage simply means that the terms of the mortgage are not as good as the terms offered to “prime” (high credit score) borrowers. Subprime mortgages have significantly higher interest rates than prime mortgages. This means that the payments may be significantly higher than for prime mortgages. Often, subprime mortgage loans are adjustable rate mortgages (ARMs). The interest rate on an ARM can rise significantly over time. Subprime loans may also have other risky features, such as negative amortization. During the foreclosure crisis, many borrowers with subprime mortgages faced sharply increased mortgage payments and were unable to make those payments. The best way to protect yourself from the risky and expensive features associated with many subprime mortgages is to check your credit report and understand your credit standing before you begin. You may be eligible for a “prime” mortgage. It’s important to shop around with multiple lenders and ask lots of questions. By comparing options from several different lenders, you’ll be able to tell when you are being offered a good deal. 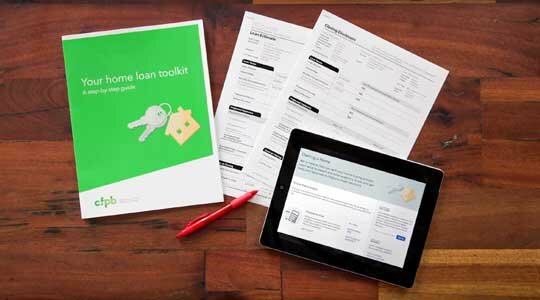 Our interactive sample Loan Estimate tool will help you review your offers to make sure you get the best deal. A HUD-approved housing counselor can also help you assess the loan offers you receive. Whether you’re ready to pursue buying a home now, or you want to learn about the process while you work on improving your credit, the CFPB can help. We’ve got a lot of information on our site already to help you get started. You can get a free copy of your credit report once per year from each of the three companies at www.annualcreditreport.com . Find out everything you need to know about checking your credit and how credit works.